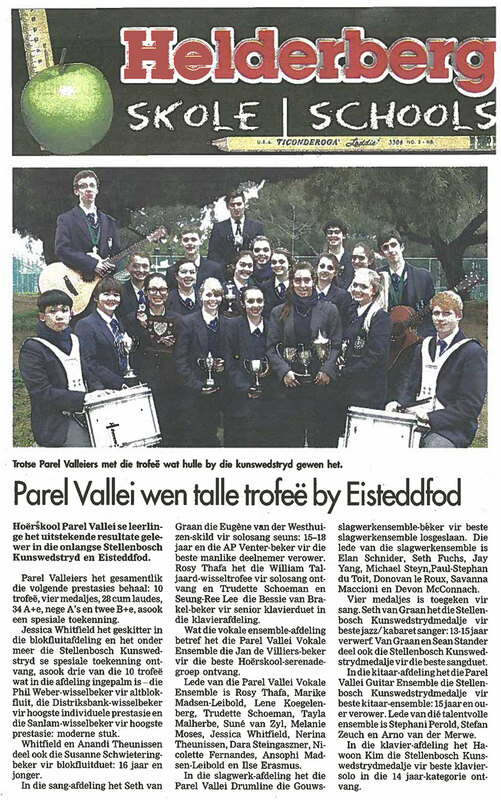 Congratulations to all Parel Valleiers on their hard work and outstanding achievements at the Helderberg Eisteddfod,– these results truly speak of CULTURAL EXCELLENCE! Back, from left: Quinton Campbell, Joshua Swanepoel. 4th row: Lorenzo Gollia, Juan Visser, Rebecca Kruger, Ethan Verrezen. 3rd row: Mr Duncan Combe, Luke Verrezen, Jenna Beavon. 2nd row: Reuben van Wyk, Charl van Heyningen, Neo Botha. Front: Matthew Maree (standing), Gerard Eckley, Cobus Theunissen, Salvino Pereira (standing). 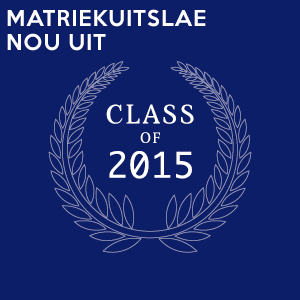 Kayla van Rensburg: TRINITY COLLEGE grade 7 voice 87% with distinction. 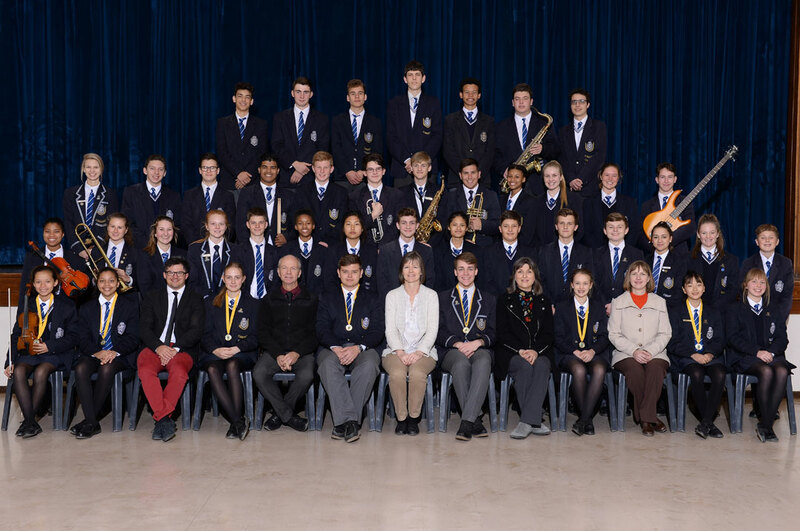 Joshua Swanepoel: TRINITY COLLEGE grade 7 voice 84% with merit. Kayla van Rensburg: TRINITY COLLEGE grade 6 voice 87% with distinction. ONE of 13 musicians (country wide) to perform as a soloist for this festival. One of eight FINALISTS where she was placed first in the strings category as well as awarded first place for the performance of a South African work. Ian Marasigan, Minseok Kim: 1st time ever Best DJs. 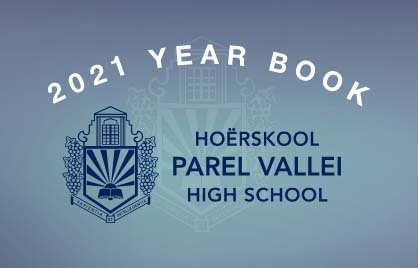 Parel Vallei was one of only ten schools selected to take part in the Cape Town International Jazz Festival’s Music and Careers Programme, and they performed at the Artscape Theatre. 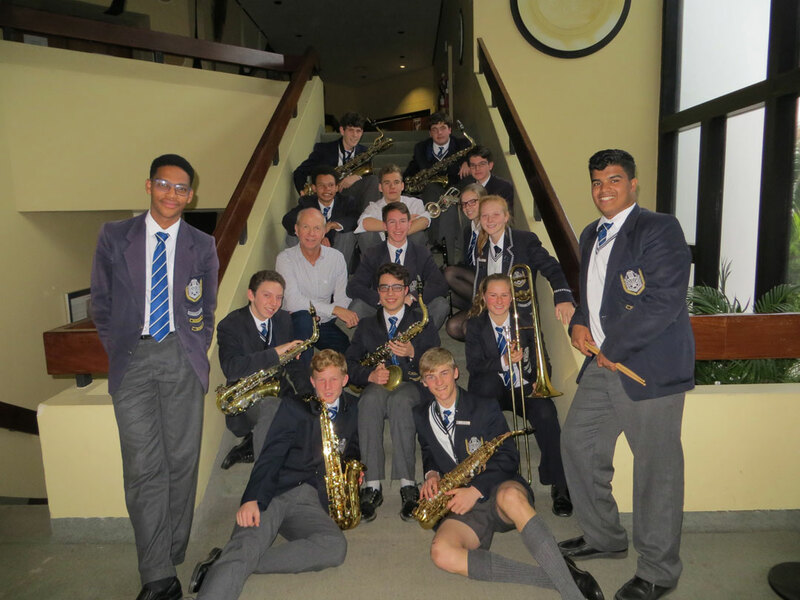 A handful of musicians from the ten schools was selected to form part of the All Stars Band including our very own Joshua Swanepoel and Ethan Verrezen. 2nd violinist for the green-and-gold National Youth Orchestra. She travelled to Bloemfontein in June to audition and spent a week preparing and rehearsing for the orchestra’s prestigious concert that was held a week later at the Sand du Plessis Theatre (PACOFS). She was also privileged to take part in orchestra courses and workshops, organised and led by the finest South African and international musicians.